What is your current profession/background? I hold a PhD in Chemistry and currently work at an International Chemicals company, developing after-treatment solutions for the automotive industry. I apply my knowledge and skills to the creation of next generation catalysts. I started in research and followed this with a move to development. This involves working with customers to understand their requirements, turning these into development projects. What point in your life led you to pursue a career in STEM? I have always had a keen interest in how things work; one of my earliest memories is finding a bird skeleton in the garden and working out how it functioned and fitted together! I was fortunate to be taught by two very inspirational chemistry teachers at school who sparked off and encouraged my interest in chemistry. What is one of your biggest aspirations? To use science to improve the environment and human health. I spent a year in a research lab in France studying marine sediments for pollutants. This was both thoroughly enjoyable and the turning point in my decision of how I was to apply my scientific background in my career. I have continued this through my work, reducing pollution from trucks and buses. What advice would you give to aspiring female scientists and engineers? Follow what interests you and what you love doing. Seek out a mentor and offer mentoring to others. Actively manage your career at all times. And most importantly, science and engineering are fascinating and constantly changing subjects, so enjoy! How have you benefited from being a part of CAMAWiSE? I have been a member of CAMAWiSE for a couple of years and it has been wonderful to meet fellow STEM professionals with similar interests and experiences. The workshops have been complementary to the training I have received through my job and have given me additional tools to use for personal development. I have completed the Cambridge half marathon and fit in exercise whenever I can. I have an allotment and love spending a Sunday afternoon digging, weeding and growing unusual produce. I even grew award-winning pumpkins this year! Automotive catalysis, spot the truck and name the catalyst (! ), and balancing a career with having children. My Homeward Bound Journey: The Beginning by Cathy Sorbara. A little over four months ago, was the annual general meeting CamAWiSE, my first event acting as Chair. I listened to a talk by Dr. Deborah Pardo, a population modeller from the British Antarctic Survey, who was part of Homeward Bound’s maiden voyage to Antarctica last year. I heard her talk with such passion and clarity about Homeward Bound’s mission and how it has changed her life that I knew immediately that I needed to be part of this story. 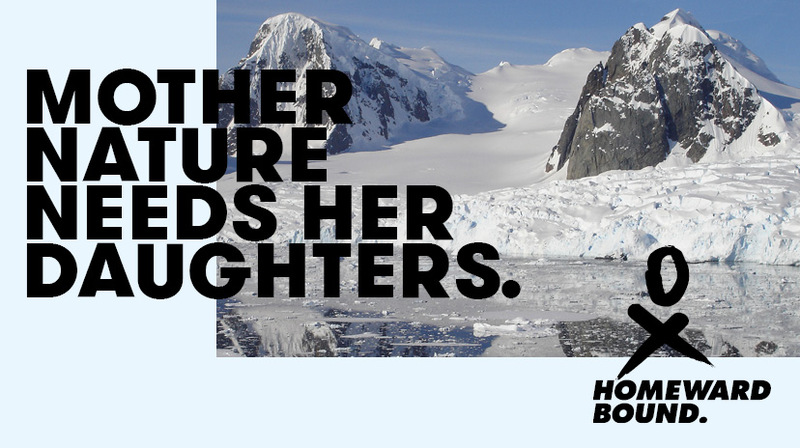 Homeward Bound, she said, is a groundbreaking leadership, strategic and science initiative, and outreach for women, set against the backdrop of Antarctica. The initiative, turned global movement, aims to heighten the influence and impact of women with a science background in order to influence policy and decision making as it shapes our planet. 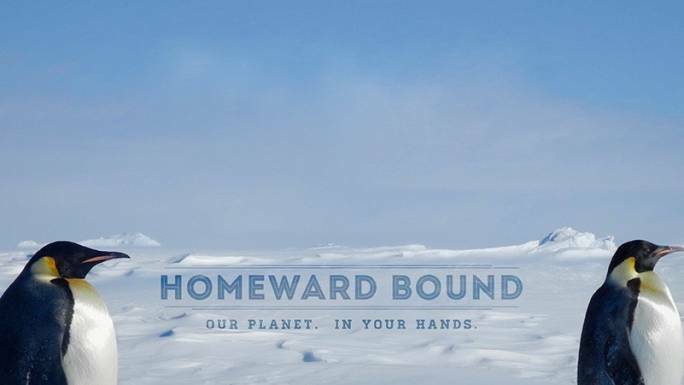 When it launched in 2016, Homeward Bound gathered the first 76 of a targeted 1,000 women from around the world, all with critical science backgrounds, to undertake a year-long state-of-the-art program to develop their leadership and strategic capabilities, using science to build conviction around the importance of their voices. The inaugural program culminated in the largest-ever female expedition to Antarctica, in December 2016, with a focus on the leadership of women and the state of the world. Where do I sign up? I asked her following her talk. Serendipitously, the applications for the 2018 voyage were due three days later. I rushed home and cleared my schedule for the weekend. I started to scroll through the online application and with each question my inner critic was pleading for me to quit. The questions ranged from Why are you suitable for Homeward Bound? To Given your science background, how do you think your leadership could influence policy and decision making? I even had to create a 2-minute elevator pitch and upload it to YouTube for their assessment. I searched through last years’ participant videos and felt completely out of my league. These women were true leaders, leading inspirational lives. They were professors, heads of research organizations and environmental conservationists. I, on the other hand, was a biochemist by training, I did my Ph.D. in Medical Life Science in Munich Germany and following my graduate studies, I stepped away from research. I never considered myself a leader and found the label very intimating. Then there was the biggest catch. One of the project’s objectives is to be 100% self-funded, so not ‘not-for-profit’ and not ‘for-profit’. All women must contribute $16 000 USD. This covers the cost of being on the ship for 21 nights, hotel accommodation, faculty meetings, administration and operational contributions. On top of this, I would still need to pay for flights to our departure point at Ushuaia, Argentina. I scrolled seemingly hundreds of times through the application and last years’ participant list, slowly talking myself out of applying. Then I saw a paragraph at the very of the application in BOLD. It said, We know women tend to only apply to positions where we feel we qualify 100%. We are here to tell you: JUST APPLY. We want women from a variety of STEM backgrounds at a variety of stages in the leadership journey. Sincerely, The Homeward Bound Team. Then I started thinking of my own situation. I am in a unique position. I am a scientist, chair of CamAWiSE and COO of the Cheeky Scientist Association, a global training platform for STEM academics looking to transition into industry. I have the ability to lead, influence and contribute to the lives of thousands of women and hopefully instill upon them confidence and encouragement to achieve their goals. My colleagues are located across Europe, Australia, India, and America, to name but a few countries. Building relationships, managing time zones and learning remote communication tools to enhance my leadership and strategical capability is not only a bonus but an absolute necessity for me to be successful in my current role and make a difference in the lives of others. I bring with me the voice of early career scientist that I counsel daily and know first hand their struggles, fears and dreams that need be heard in order to create policies to shape the future of our planet. In particular, self-doubt within female PhDs is incredibly strong and inhibiting. I joined Homeward Bound to prove to those graduates that we can all be leaders and that leadership comes in many forms and from many fields. To me, leadership is about finding out who you are as a person and using your gifts, your own unique attributes, to inspire others to be the best versions of themselves. Leaders do not create a vision on their own but bring together the best team of individuals that together can achieve greatness. When a great leader steps down or moves on, the team not only remains strong but can thrive due to the lasting impression of that leader and confidence she instilled upon. Homeward Bound is definitely outside my comfort zone, which is why I am even more driven to do it. Two weeks after submitting my application, I received the congratulatory email that I was selected out of the hundreds of women across the globe that had applied. We will be stronger together! I am Information Services Manager at Alzheimer’s Research UK, the UK’s leading dementia research charity, based just outside Cambridge. I manage a small team dedicated to providing high-quality, evidence-based health information about Alzheimer’s disease and other forms of dementia. I have always worked in scientific information, from the early days of online literature searching and information retrieval. My career path started with a chance encounter with online searching through a temporary job when I first moved to Cambridge. This led to roles with the Cambridge Crystallographic Data Centre, the Royal Society of Chemistry and Cambridge Display Technology, and I also worked freelance for a number of years. What point in your life led you to pursue a STEM career? I fell into science by accident! I was heading for a career as a bilingual secretary when I discovered geology in the sixth form and fell in love with it! This was definitely partly due to a brilliant teacher, as is so often the case. From that point, despite having no previous science qualifications, I did everything I could to change direction and managed to persuade UEA to let me study for a degree in Environmental Science. I never looked back! Having just been promoted into a management role for the first time in many years, for the moment I just want to get to grips with my new responsibilities and feel confident that I’m doing a good job. Don’t give up and don’t let anyone tell you that you can’t do something. If you want something enough you will make it happen. I joined CamAWiSE about four years ago when I was working freelance, and was delighted when shortly afterwards I had the opportunity to apply for the post of Coordinator for the organisation. My application was successful, and I spent a happy 18 months organising events, running the membership and meeting and greeting attendees at our events. This built my confidence in many ways and gave me new skills to add to my CV. In 2014, having made the decision to terminate my freelance activities, I successfully applied for a full-time role with Alzheimer’s Research UK, and had to give up my Coordinator duties. Since then I’ve been a member of the Steering Group and have added further strings to my bow including becoming Co-chair. In addition to developing new skills, I’ve made some great friends through CamAWiSE. It’s a very special organisation which provides a safe and supportive environment for women to learn, develop and network. I love to be outside enjoying the sights and sounds of nature. I enjoy walking very much, though prefer somewhat more interesting landscapes than those found around Cambridge! I’m also a great fan of classical music and love to read when I have time. Dementia; plants and horticulture; choral singing. I am a vocational product design engineer. Right now I’m working as a freelancer although I would love to work in a design company as part of a team. I’ve also worked as a web and graphic designer and have taught design during summer courses at the University.. In primary school, I had a wonderful maths teacher. He encouraged me and supported me. Maths was my favourite subject so I always knew I would follow a STEM career. For many years, I dreamed of being an astrophysicist. That changed but what never changed was that I wanted to study a STEM-related career. As a product designer, I see myself as an inventor, a problem-solver and a designer. So my aspiration is to change people’s lives with a product I’ve worked on. I would also love to invent a product to wipe housework from women’s lives. Believe in yourself, no matter what others may say. If you want to be an engineer… you work hard to be an engineer (it’s what I did when I was told that I couldn’t be an engineer because I was a woman). Don’t let anyone treat you differently because you are a woman. Neither for good nor for bad (I never let my male colleagues do more work just because they felt they could or should). No surprise, you will be more respected. Learn to program. Now! And… enjoy! Science and technology are so much fun! They answer questions, allow you to be creative, solve problems. You will never be bored. Being a woman in a STEM career is not always easy. Personally, being part of a group of talented women who have the same problems or share a similar path makes me feel better and helps me better understand the problems I had found in the way. It is very rewarding, as well, to know that you are working to help other women and girls. It’s also been very useful professionally, as I’ve met other women who have helped me in different areas from networking to CV tailoring. Since I’m living in Cambridge I love riding my trike from the Fitzwilliam to the Round Church on a cold winter afternoon and enjoying the view of all the colleges. I also like to draw buildings, to read science fiction and to knit socks. CAD, design, computers and my tricycle.